Joan Marlow had a good website but it needed updating to show new services and new directions. YCL updated the structure of the site. Then I trained Joan on editing with WordPress so she can keep the site up to date as she moves forward. Owner, Pam Mullavey, is an organizing dynamo. That’s why her estate sales are so successful. Another part of the success is promoting the sales from her website and supporting estate sale sites. YCL built a simple site that Pam can update herself. She uploads photos each week for the upcoming sale. She then emails her special list of interested shoppers to give them the highlights of the sale. Share the post "Clutter Sweepers"
Every website needs regular maintenance and updating. That is especially true when the company moves from Arizona to Texas! Lea and Tom Porter relocated to Waco, Texas. The move was a perfect opportunity to update her site. Lea added photos of new projects, deleted photos of out-of-date styles and improved the page content. Your Computer Lady recommends reviewing every page of your site at least twice a year. Read the content. Check each link and form to ensure they are functioning. 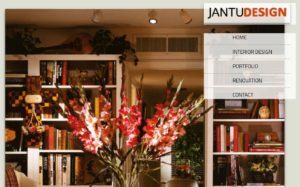 Share the post "Jantu Designs"
Sometimes you can’t see the forest for the trees! Betty McCauley talked with Pamela about finding enough content for her Facebook posts and a blog. Right off the bat, Pamela suggested posting individual articles and events instead of posting the weekly email. That’s 4-5 posts instead of 1! Bouncing ideas off another person, having someone review your Marketing Calendar, asking for a review of your web page content can make all the difference in the world. You see the info so much that you stop seeing it! A short consultation with Pamela can clear the view. There isn’t a time limit. There isn’t a contract. Just a fresh perspective! 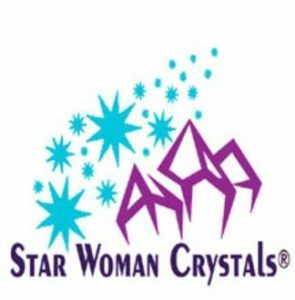 Share the post "Star Woman Crystal"
Having a web site is as necessary today as having a business card or business phone. Tim Smith knew this and came to YCL for his first web site! Tim wrote the page content with a little polishing by YCL. We worked together on photos. The star of the site is the eCommerce shopping page. Tim’s regular clients can order standard products right from his site to make life simple and easy. Share the post "Kachina RV"
Beautiful custom cabinets deserve a beautiful custom web site to show them off! The primary goal of the Cornerstone web site is to display the wonderful photos the company has of completed projects. YCL created portfolios by room and also by project to better fit the visitors’ needs. In addition, Cornerstone wanted to “brag” about the high quality manufacturers they work with. YCL developed pages for each manufacturer with photos, information and links to the manufacturers’ sites where necessary. A monthly email gets Cornerstone’s name in front of prospects to encourage purchase decisions. It also keeps Cornerstone top of mind with clients, designers and vendors who can give referrals. Share the post "Cornerstone Cabinet Company"
Simple can be a good thing for web sites! These two storage businesses in small towns needed basic information about hours, contact and rates. YCL built one page sites that covered everything! Share the post "Absarokee Mini Storage and Columbus MT Mini Storage"